It is hard work, perseverance, learning, sacrifice and most of all, love of what you are doing or learning to do. One of Instagram’s most useful features is called Stories. Over 400 million people use Instagram Stories every day. 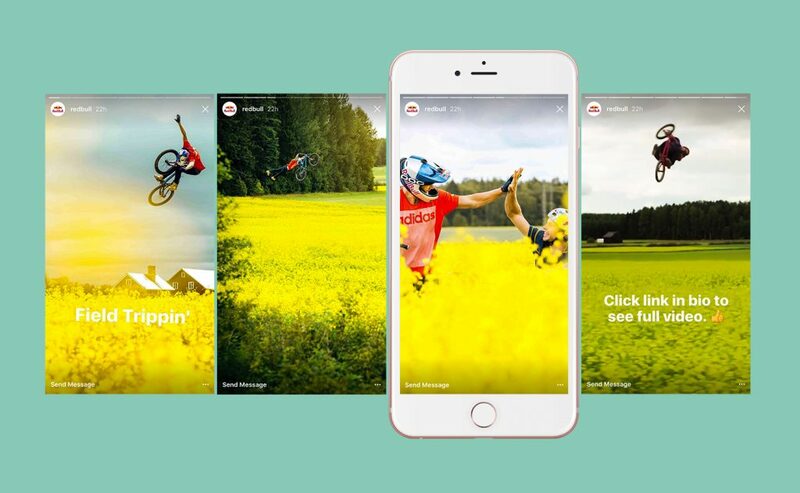 The Stories feature allows users to share a selection of photos with their followers that play like a slideshow and after 24 hours the story disappears. Hello, did you miss the part above? Over 400 million people use Instagram Stories EVERY, SINGLE day! Whenever you publish a story on your Instagram, your profile appears at the top of the screen and with Instagram’s algorithm, it automatically shows stories that users are mostly likely to engage with first, putting your profile first on the list. After all, since you’re one of 400 million, it is important to stay current in feeds and to increase your chances on being seen. By appearing first on the list, you will be visible for people who don’t follow you yet! And for those that already do, you ensure to stay on top of mind. You could even tag other users in your Instagram Stories to not only strengthen your relationship with them, but to reach an even wider audience. Instagram Stories allow you to get creative and publish different kinds of content. From photos and videos to adding colour, text or filters to make your story more compelling. A regular post is nice, and important too, but through Instagram Stories you can help people relate to you much faster. After all, instead of one polished, pre-produced photo you’re now sharing a slideshow of real photos, an interactive video or even Boomerang. People will follow you on a journey. This makes you more authentic, shows your passion and makes your audience understand your business better. Also, by showing people the ‘behind the scenes’ or ‘sneak peaks’ you make them feel part of an exclusive community. People will feel special and as a result they are likely to feel more connected to you. Oh, and if that’s not enough, you’re also creating a bit of a ‘hype’ around your event, product or service as people will get curious about the finished product, service or event. And with Instagram Stories, you don’t have worry about posting too much content and clogging user’s feeds…it’s truly a win/win. 59% of internet users between the ages of 18 and 29 use Instagram. However, don’t forget that another 33% of internet users between the ages of 30 and 49 use Instagram, and a staggering 68% of Instagram users are female. Probably at least one of these categories are key to your brand too. If you’re not quite sure where to begin, or if you want to better understand if this is for you, do not hesitate to get in touch with us and to tell us your story! INMEDIA DESIGN STUDIO Ibiza – We LOVE Success!